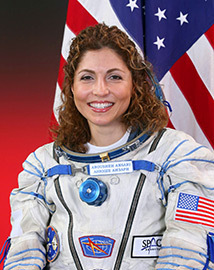 Anousheh Ansari Wins the National Space Society's Space Pioneer Award for "Service to the Space Community"
The National Space Society announces that serial entrepreneur Anousheh Ansari is the winner of its 2015 Space Pioneer Award for “Service to the Space Community.” This award will be presented at the National Space Society’s 2015 International Space Development Conference (http://isdc.nss.org/2015/). This will be the 34th ISDC and will be held in Toronto, Canada, at the Hyatt Regency Toronto (downtown). The conference will run from May 20-24, 2015. 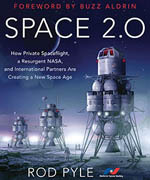 Anousheh Ansari has been a major contributor to the X-Prize Foundation which made her a driving force in the commercialization of the space sector. 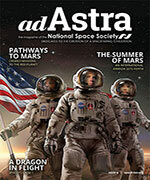 She is the first female private space explorer, providing an inspirational story that has made her mark in history. Ansari’s accomplishments as a serial entrepreneur, innovator, and humanitarian have been an inspiration to communities and individuals across the globe, especially young girls. 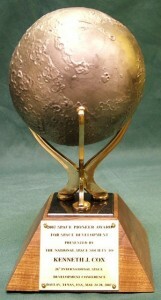 Ansari acts as a Space Ambassador promoting the benefits of space exploration to humankind, and also as a role model for global causes including social entrepreneurship, peace and understanding among nations, and inspiring the young generation to pursue their dreams and build a better future for all.